COPENHAGEN–(BUSINESS WIRE)–The Daylight Award 2018 was celebrated at the iconic Rolex Learning Centre in Switzerland on 27 September. In the beautifully sculptured building designed by former Daylight Award laureates, SANAA, an enthusiastic international community of architects, researchers, and representatives from the building sector were gathered to celebrate the laureates. 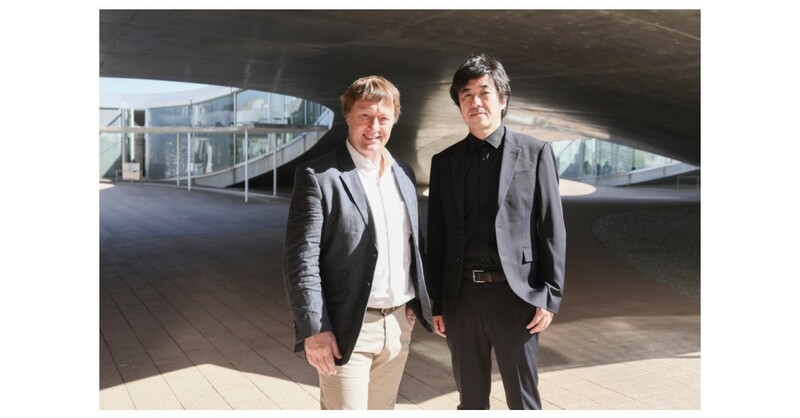 Architect Hiroshi Sambuichi and researcher Greg Ward both received The Daylight Award 2018 and €100,000 for their groundbreaking work and dedication to daylight. The three philanthropic foundations, VILLUM FONDEN, VELUX FONDEN and VELUX STIFTUNG, presented the award for the first time in 1980 to recognise prominent practitioners in the fields of daylight in architecture and daylight research for the benefit of human health, well-being and the environment. The 2018 laureates follow in the footsteps of Jørn Utzon (DK), Lacaton & Vassal (FR), James Carpenter (US), Marilyne Andersen (CH), and Steven Holl (US). Hiroshi Sambuichi has been awarded for his ability to balance the relationship between nature and architecture. The movement of earth, wind, air, water, and sun are integral parts in his buildings, which include the Shizuki Castle House and Naoshima Hall in Japan. Greg Ward is the creator of the revolutionary software simulation program, Radiance. Radiance has been applied variously to architecture, product design, thermal simulation, and health effects. It has also been utilised in unique situations such as assisting astronauts in training to work under the harsh lighting conditions in space. “My emphasis has always been on working, practical systems, as opposed to purely academic pursuits. To me this award is an important recognition of much more than my work. It recognises an entire community´s contribution to daylight prediction and inclusion in the built environment”. The Daylight Award is presented by the philanthropic foundations, VILLUM FONDEN, VELUX FONDEN and VELUX STIFTUNG. The award puts specific emphasis on the interrelation between theory and practice and was originally established by Villum Kann Rasmussen, the inventor of the VELUX roof window.